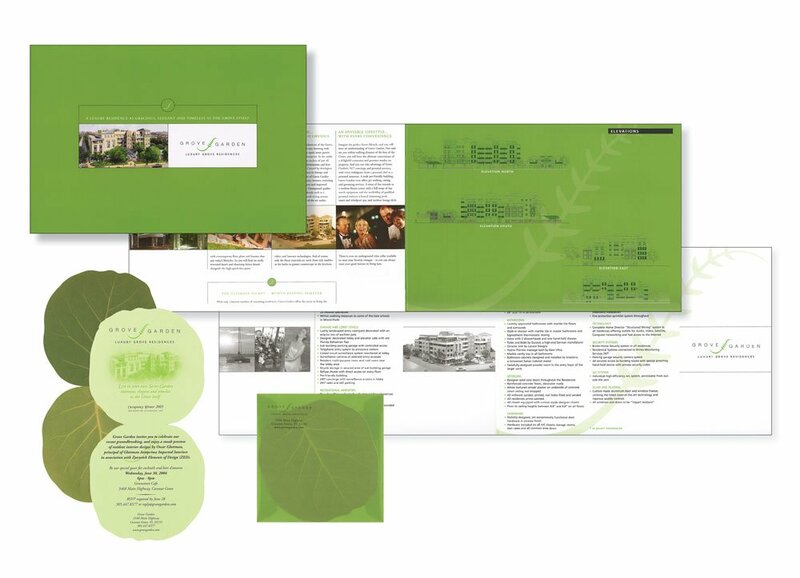 Vortex Communications was selected by the owner/developer to develop a unique brand and branded collateral materials for the sales and marketing of this mid-rise condominium/retail project located in Coconut Grove, Florida Clean, sophisticated graphic design echo the project architecture while a “natural” color palette echoes the environs. Horizontal page design allows for generous presentation of floor plans and helps to create a style and feeling deeply rooted in this chichi subdivision within the boundaries of Miami-Dade County. Need to create real estate branding and marketing that sets you apart? We’ve got the right set of plans!